Home Posts tagged "Ceramic floret"
and nail polish in old rose – Step by step French nail art instruction. 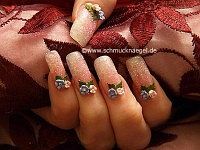 – Wedding flowers nail art step by step instruction with pictures. 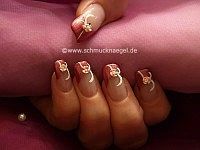 Full Cover floral motif in bright beige for the fingernails – Step by step nail art instructions with pictures.